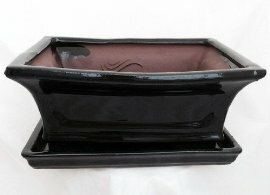 A Professional Bonsai Pot for the Professional Bonsai Grower. The pot is pre-wired and pre-screened. Better drainage to prevent root rot. Deeper than standard Bonsai pots. Root grooves for increased Bonsai's health.